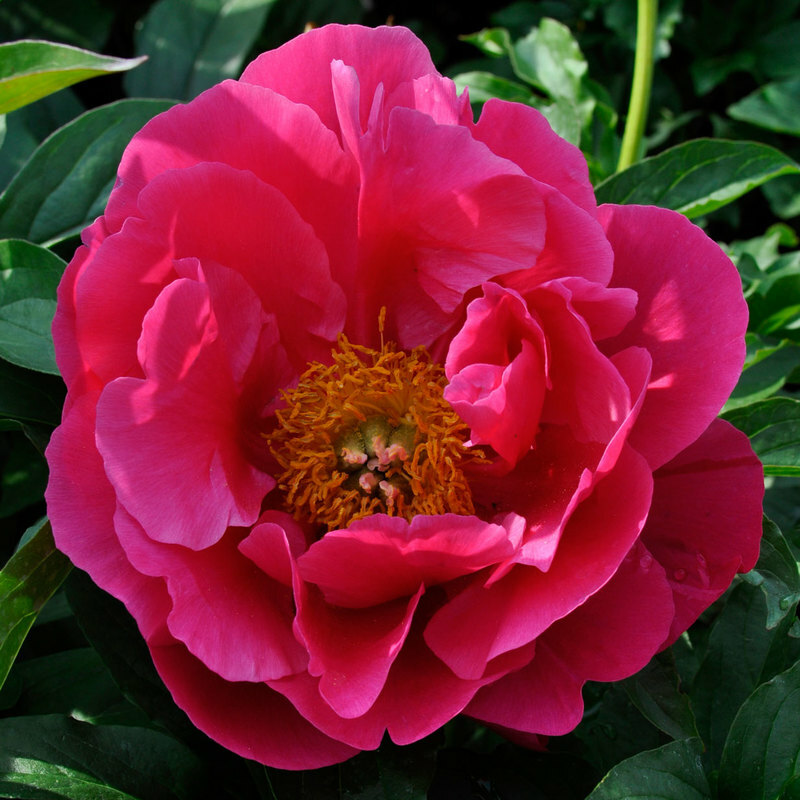 What is a Hybrid Peony? Peonies can be split into three different types; Tree peonies with woody stems, herbaceous peony with leaves that die back in autumn and re-emerge magnificently in spring, and the new(ish) Itoh or Intersectional peonies – a story to be told in another article. 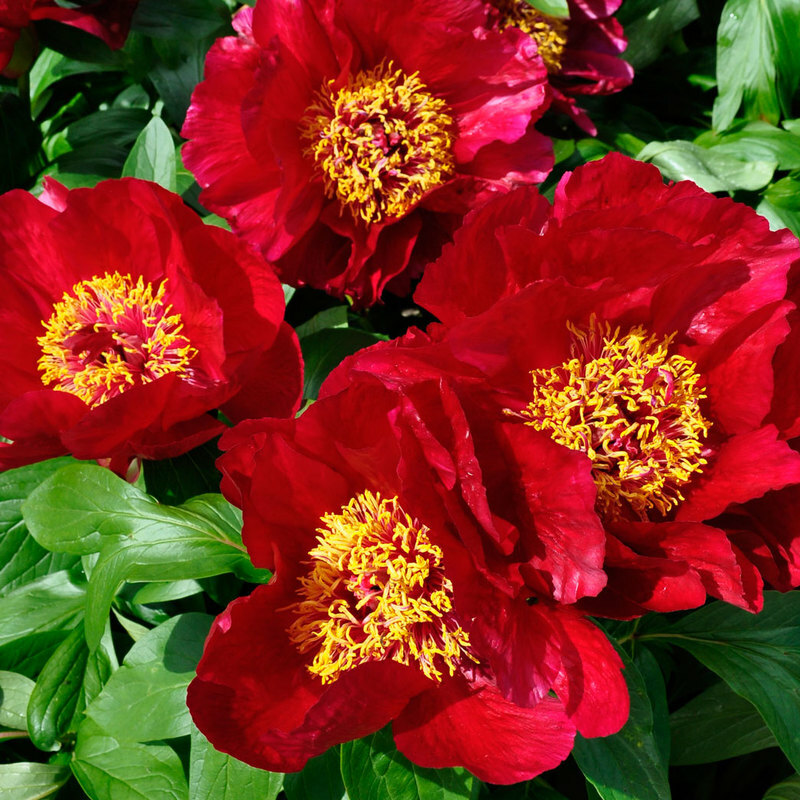 Most gardeners know what herbaceous peonies are. They are the ones that produce big, blousy double flowers on long stems that are often battered by rain. Many centuries ago they were grown in monastery gardens for their medicinal properties, nowadays they are used extensively as cut flowers as well as being grown in the garden. 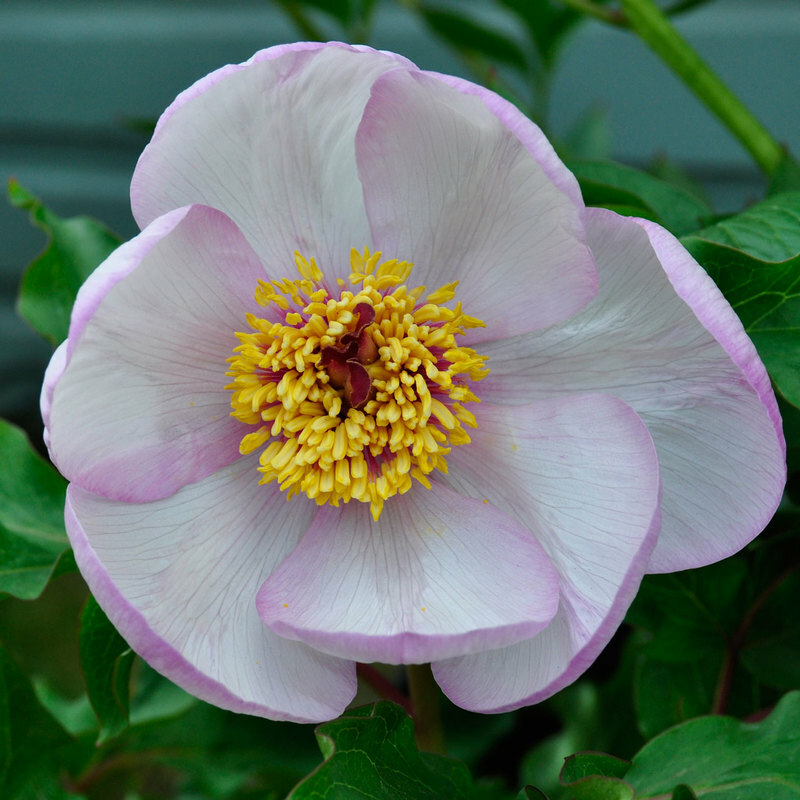 This type of peony was raised from the wild Chinese peony Paeonia lactiflora. 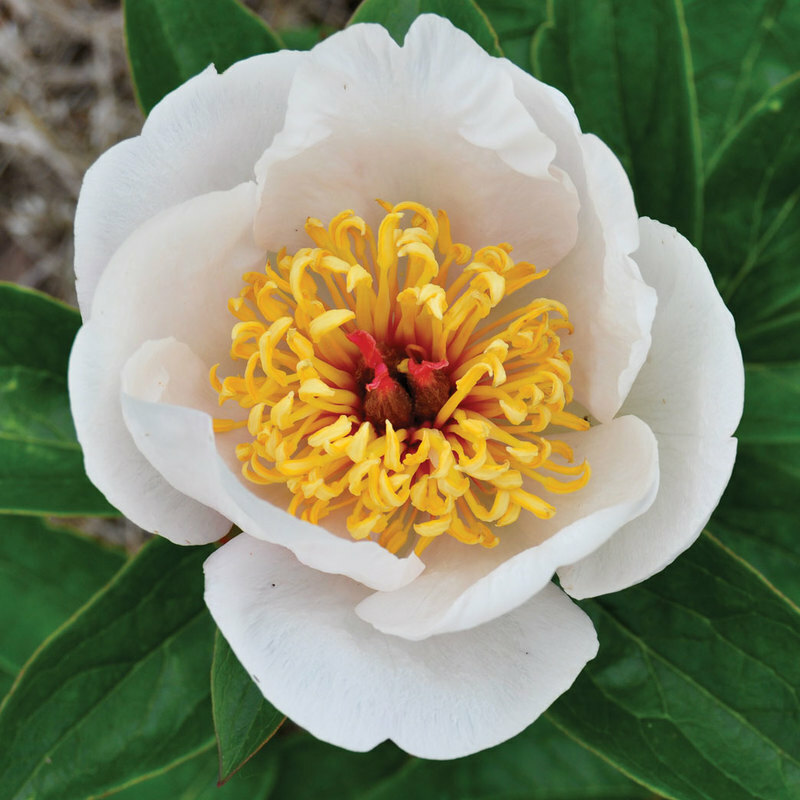 During the 1920’s Professor Saunders, working in New York, began crossing different species peonies which grow in the wild from the Mediterranean, up through Turkey, Iran into Russia and across from northern India into China and down into Japan. The flowers are almost always single and the leaves beautiful. The resulting Hybrids carry the best characteristics of their wild relatives; they are hardy, early to flower and have fabulous foliage. The colour range of the flowers is broader than that of the Lactiflora type peony, which is limited to white, red and pink. Hybrid peonies flowers can very dark red through to palest pink and pure white, as well as soft creamy yellow through to coral and apricot. The leaves are often large, bright green and glossy. The flowers are usually carried on strong thick stems, which means the blooms will not fall over. Like all peonies these can be slotted into any border and sit neatly amongst other herbaceous perennials. By choosing a few different varieties they will provide vibrant colour from mid May (in middle of England) until mid June. 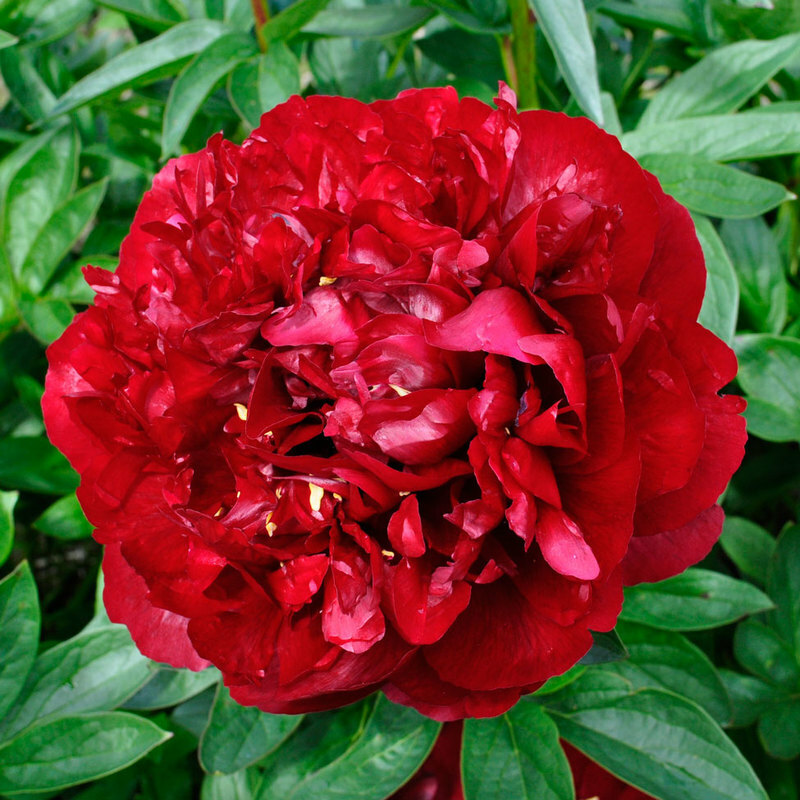 Like all peonies, once established they live for many years without any attention and cope well with dry soils. They not like a soil that stays wet throughout the year. They prefer to be grown in full sun, but in warmer counties they they are happy in a little shade. All peonies can be lifted, divided and planted from the time they become dormant – usually October until the shoots begin to seriously push up around late February into March. All these times depend on where you live. 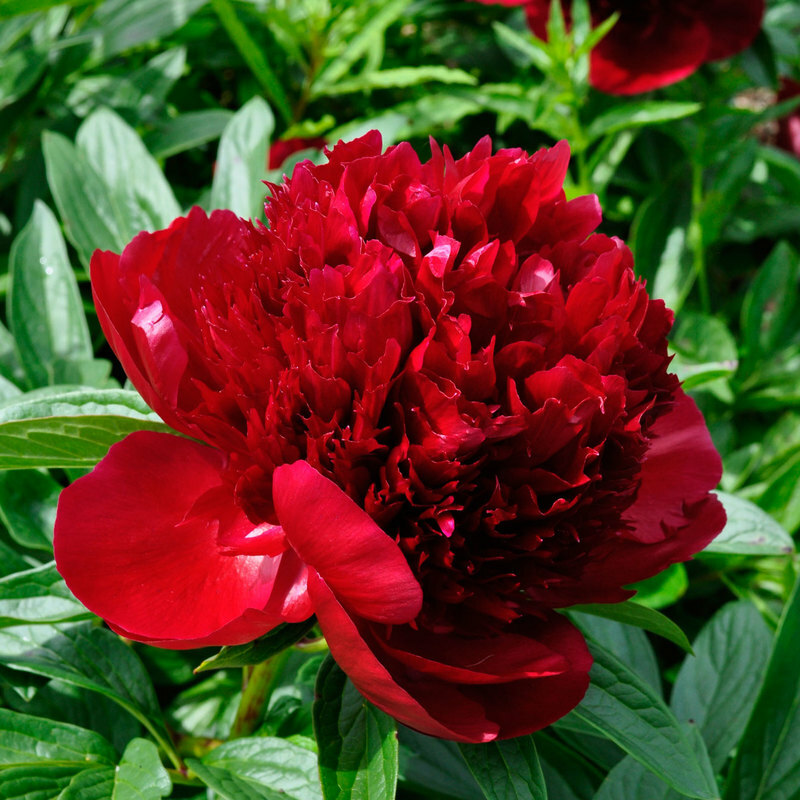 Peonies grow according to light (unlike irises which grow according to heat). So as soon as the days begin to get longer, and warmer, then peonies begin to grow.